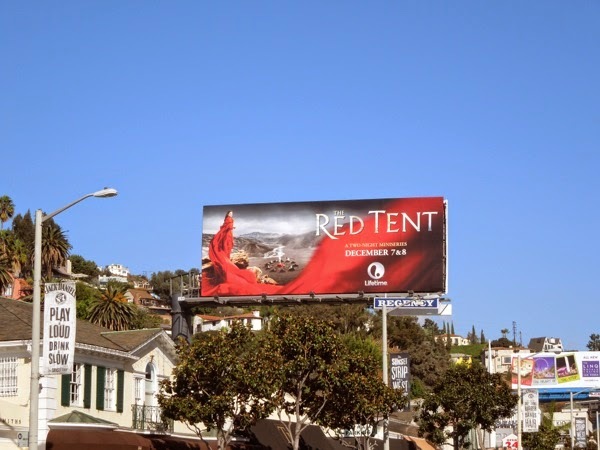 Little Red Riding Hood has nothing on these billboards for Lifetime's latest TV mini-series, The Red Tent. 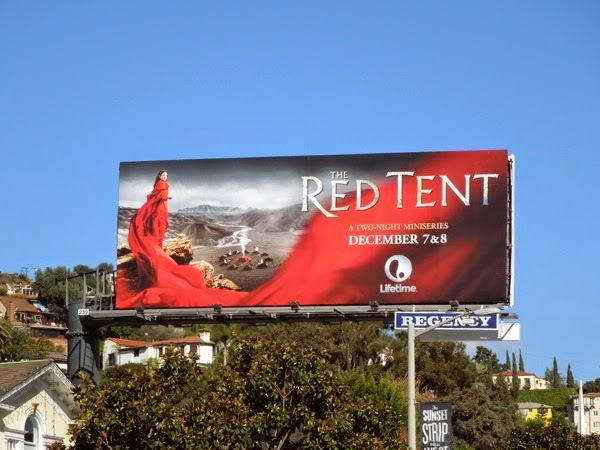 The big screen isn't the only place mining the Old Testament for films like Exodus: Gods and Kings, as on the small screen Lifetime has adapted Anita Daimant's 1997 best-selling novel, The Red Tent, bringing the pages of the Bible to life. 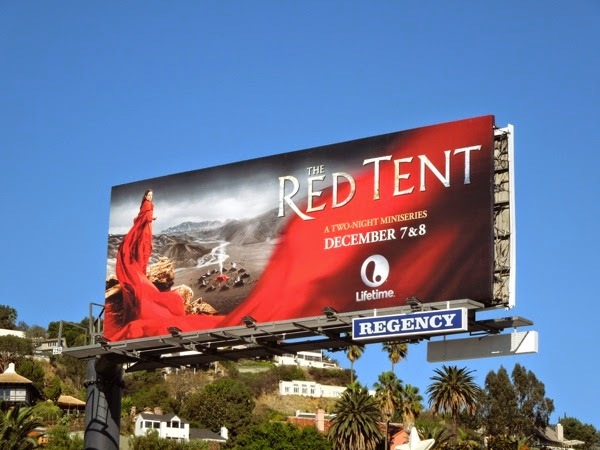 Rebecca Ferguson stars as 'Dinah', the daughter of 'Leah' and 'Jacob' and the two-part TV event is told through her eyes in ancient times of tradition and turmoil, as she remembers gathering with the other women of her tribe in the 'red tent', where women go to give birth, whilst having their period, or when they are ill. 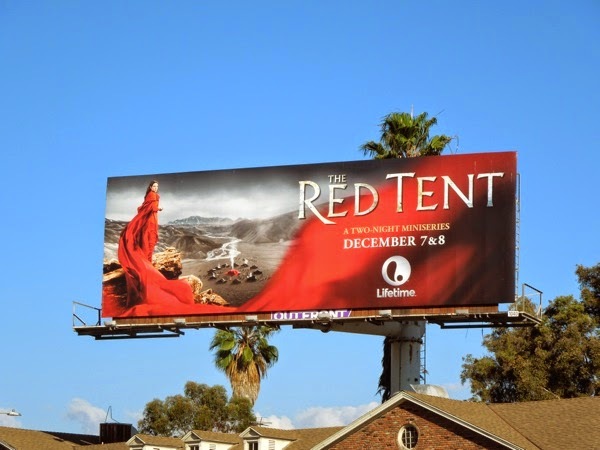 These billboards for the Biblical mini-series are bold, striking and coincidentally festive for the holiday season, and were snapped above L.A.'s Sunset Plaza and at the intersection of Wilshire Boulevard and San Vicente Boulevard on November 21, 2014. 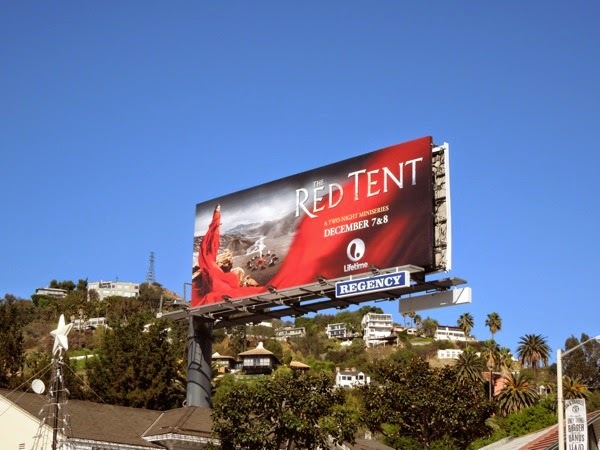 If you're a fan of the actress, be sure to also check out The White Queen billboards, where she played 'Queen Elizabeth', the wife of 'King Edward IV' in the 15th century England. 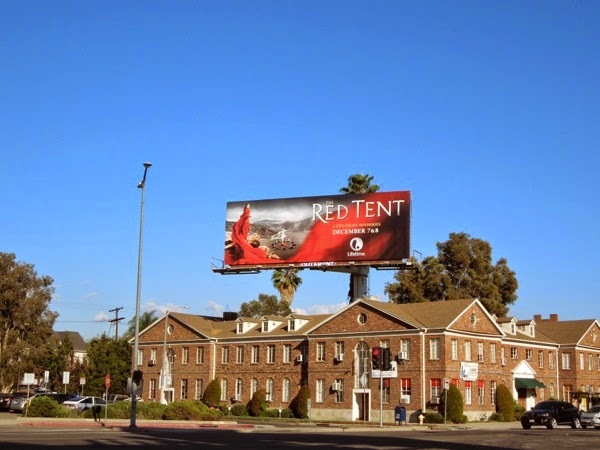 Daily Billboard is sure this isn't the last religious-themed series we'll see in the skies of L.A. in the coming months.